Association Bylaws- The official Bylaws of the Wallingford Hawks Youth Hockey Association, Inc., as amended through 2008. 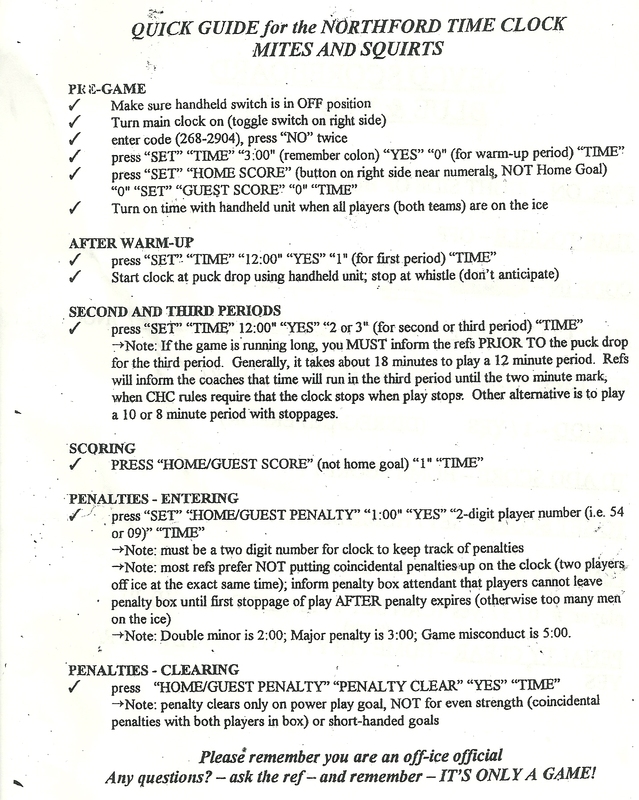 CHC Official Game Sheet *- A pdf copy of the official CHC Game Sheet. 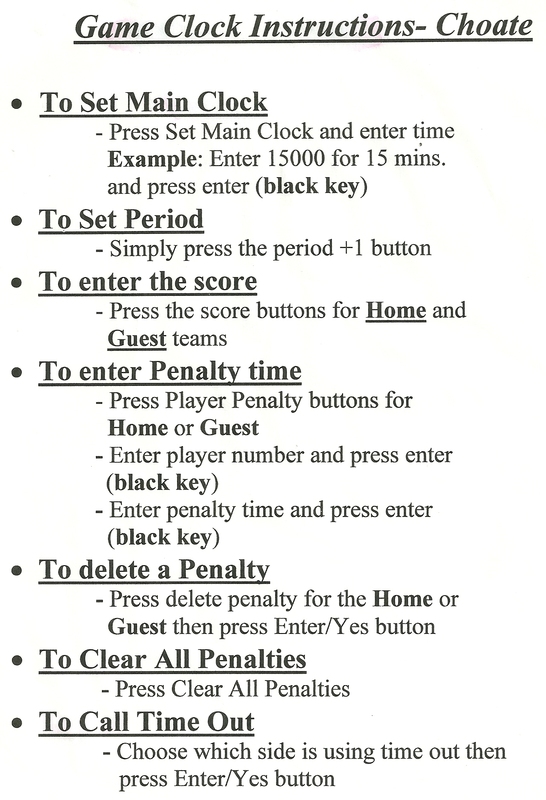 Choate Clock- Directions on how to use score clock at Choate. Roles and Responsibilites of the Parent Manager- A handbook for Parent Managers, describing many of the tasks and duties the PMs will handle for their team. Stop and Shop Gift Cards *- Stop and SHop Gift Cards for a cause. 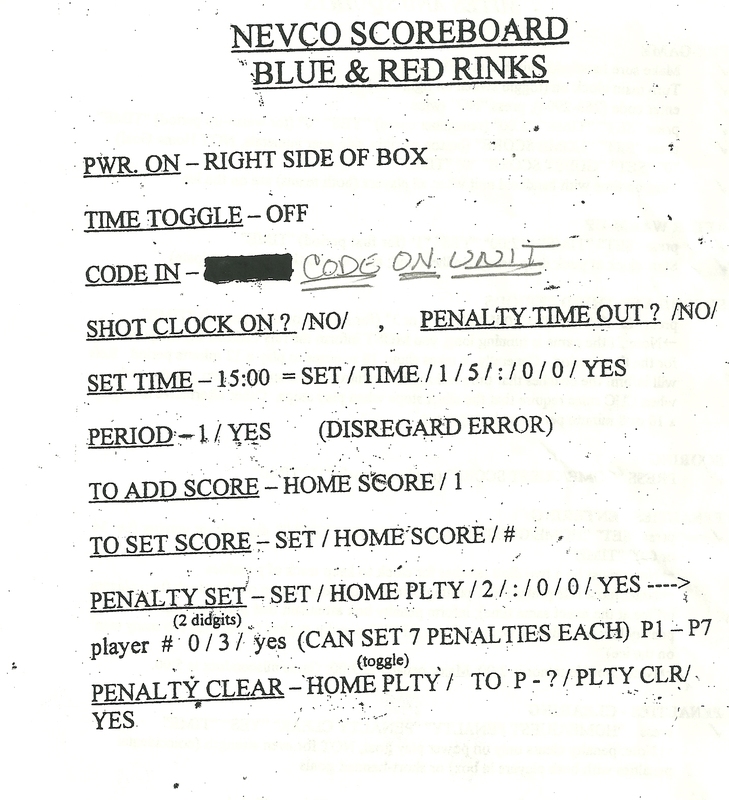 USA Hockey Off-Ice Officiating Manual *- The official outline of rules and procedures to be followed by all persons working in the scorer's booth and penalty box areas during games.